One of the most interesting aspects of living in The Hague is its international flavor. Today I’m not referring simply to the large number of people living here who come from other lands. 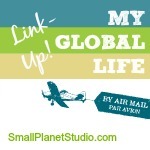 I’m talking about its strong ties to global issues. The Hague is known as ‘the City of Peace and Justice’ for a reason: it is home to 131 international institutions and organizations dedicated to bringing peace, justice, security and freedom throughout the world. It’s a major city for the United Nations, second only to New York. Many are familiar with the Peace Palace, built by American Andrew Carnegie through the Carnegie Foundation. It opened its doors in 1913, and has been a beacon of international justice ever since. 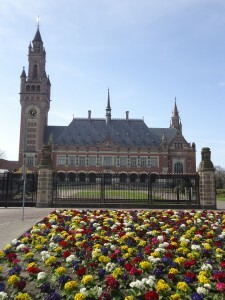 The Palace is home to the International Court of Justice, the Permanent Court of Arbitration, the Hague Academy of International Law and the highly regarded Peace Palace Library. Others know of The Hague for its efforts to bring global outlaws such as Slobodan Milosevic, Radovan Karadzic, Ratko Mladic, Goran Hadzic and Charles Taylor to justice with the International Criminal Court and International Criminal Tribunals. Prosecuting war criminals for crimes against humanity? It’s done here. Not to mention Eurojust, Europol, the UN’s Organization for the Prohibition of Chemical Weapons, and so on. It often makes for riveting ‘local’ news. It also reminds me on an almost daily basis just how interconnected this world truly is. For more on The Hague’s international bent, check out my feature interview with the Netherlands’ foremost expert on US political, economic and cultural issues, Willem Post: Building Bridges, Globally and Locally. Post is a fascinating guy, and I thoroughly enjoyed our discussion, on- and off-the-record. Thanks Chrysant, it is beautiful both in presence and essence. You had a lovely ride in those days. I’ve only ever been through the Hague on the way to somewhere else (ok, it was to Amsterdam, it was always to Amsterdam). There are direct flights from Norwich Airport to Schipol so be afraid! No worries, would love to meet in person. The Hague is far quieter and laid back than Amsterdam. I love it there and visit a few times a year, but must say I like living in a slightly calmer place. Doesn’t that make me sound soooo old? I sure felt that way when I typed it! Thank you so much Barbara, this is wonderful. 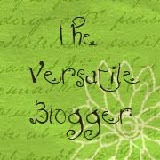 I really appreciate your liking the blog, and think it is so cool that we are both writing about becoming accustomed to new cultures: you (a Dutch woman) in the US and me (an American) in Nederland. Good karma going on! I love the metaphor of bridge-building (if it is, indeed, a metaphor) In a world that’s more connected than ever, there is still so much dis-credit done to others by people trying to make themselves look better. Sadly too, many still fall for it. Those that can make their way in the world, joining people together instead of dividing them, are the ones worthy of our admiration. Glad you liked it Aisha. When I heard I’d be interviewing ‘foremost Dutch authority on US’ I was skeptical. But Willem Post really understands US culture, policy, economics and can explain it accurately without being beholden to it. I like that The Hague stands for very positive things. What an interesting guy. And the same can be said for The Hague. Other than what I read here on your fantastic blog and pick up through orgs like the ICC in the news, I realise that I know very little of its history and why so many international institutions are in the one place.